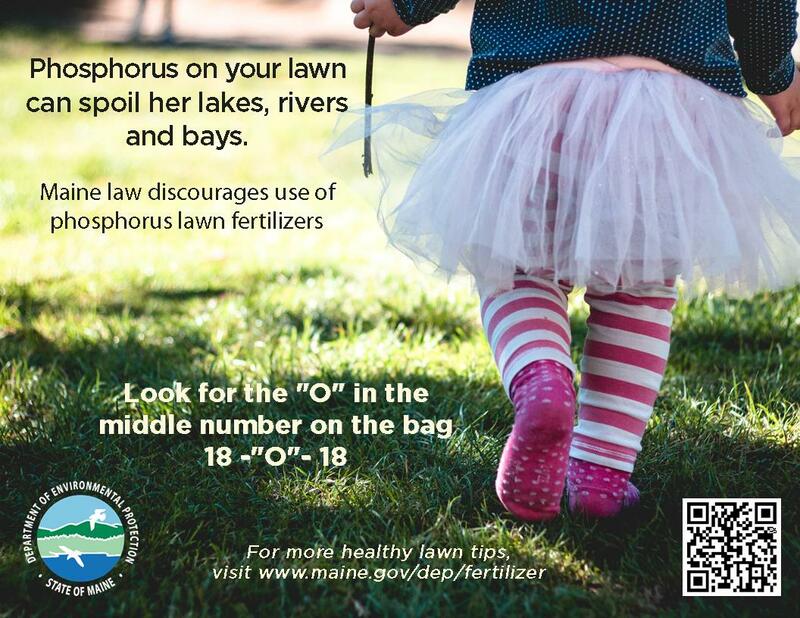 Melting snow or a summer rainstorm can quickly wash phosphorus from your fertilizer and other pollutants off your lawn and into our lakes, rivers and bays. Phosphorus is like junk food for algae causing it to grow out of control, turning out waters green, lowering water quality and even killing fish. Even if you live far from the shorefront, all stormwater eventually makes its ways to our waters, with half eventually draining into our lakes and the other half draining in our rivers or bays. If you must fertilize - avoid over fertilizing! Measure your lawn area to determine the square footage. Then calibrate your spreader to apply one-half the recommended amount of fertilizer based on the bag's label. Watch for lawn response. Reapply at the reduced rate when your lawn's response is not acceptable. More is not better. Don't apply before spring green-up. The best time is September. To have a good looking lawn, do I even need to fertilize my lawn? No, if you leave your grass clippings (the natural fertilizer) and your lawn is 10 or more years old there are enough nutrients in the soil to grow a healthy lawn. (And clippings don't lead to thatch.) Younger lawns may need nitrogen: look for bags with 10-0-0 on the label. How do I find phosphorus-free fertilizers in the store? The amount of phosphorus can be located by looking for the three numbers on the package. The numbers indicate the percent of nitrogen, phosphorus and potash. Look for packages where the middle number is zero for phosphorus-free. How can I get a soils test done? Get your soil test kit at stores that sell fertilizer, University of Maine Cooperative Extension Offices, Soil & Water Conservation Districts and the University of Maine Soil Testing Service. Maine Board of Pesticide Control information on lawn care pest control.